Even as long as people have been making fun of Aquaman for pre-conceived (and patently wrong) faults with his superpowers, there’s always been another thing about him people always remember: his nemesis. Batman has The Joker, Superman has Lex Luthor, and Aquaman has Black Manta. In the upcoming Aquaman movie, the villain makes his live-action big screen debut with actor Yahya Abdul-Mateen II stepping into the full get up. That’s right, the gigantic helmet with the huge red eyes that you know are coming to a theater near you, and I can tell you from having seen the costume my self, it looks incredible. The first day that Yahya Abdul-Mateen II was on set ended up being picture day because the costume turned out so great and looked so good. Safran even had to take a photo to send to Geoff Johns. Speaking of that giant head with those big red glowing eyes, how does he even see out of them? The answer is simple, you don’t. When Aquaman begins, Black Manta is at a good place in his life. He’s sailing the seas with his father, riding on high and then the title hero crashes their pirate party and creates an enemy for life. Everything comes crashing down around him after that chance encounter with Aquaman and Manta makes it his mission for the Atlantean to pay. “It’s Aquaman’s fault!” Abdul-Mateen II says, quoting the mantra for Manta. “He has very little else to live for, and so it becomes that revenge story. 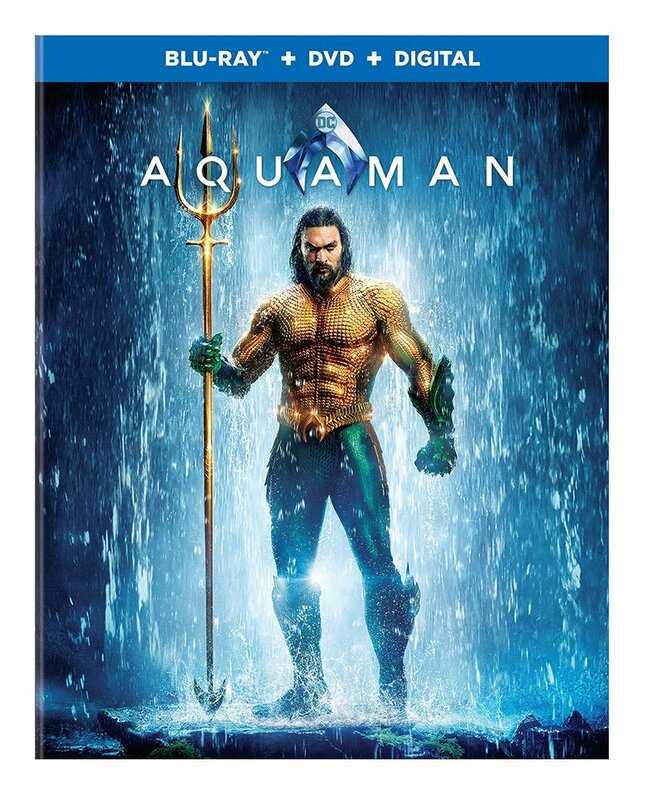 You have the relationship between fathers and sons, and the revenge that happens when a son loses his father, and then you have Aquaman, who is the heir to the throne, who doesn’t want to be king, so it’s an epic story. 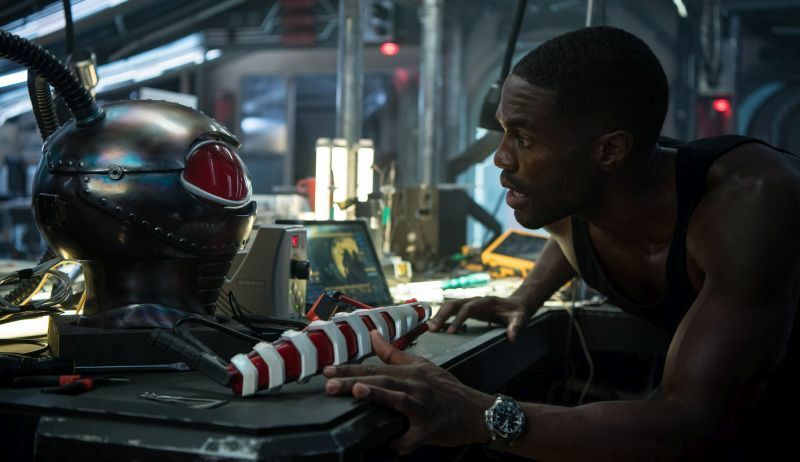 To get into the character, Abdul-Mateen took to the source material to find the man he would become on set and one moment in particular is the one that illuminated the fundamentals of Black Manta to him. Black Manta is the secret weapon for Aquaman. The filmmakers know how awesome he is, they know how cool he looks, and they know the fan anticipation on seeing this big bad come to the big screen will be through the roof. That in mind, they’re going to use him sparingly. Black Manta will be featured in the film, but we were told to expect him to be the “B-Story” of the film, as Aquaman’s relationship with his half-brother Orm will be the main narrative line in the film. But this won’t be some one-off appearance by the villain, DC has plenty more plans for him in the future. Aquaman will swim into theaters December 21.